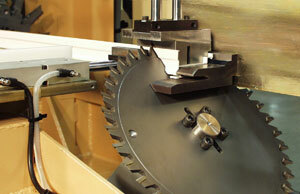 Extrusion Saws – Creative Automation, Inc.
Our experience is not limited to wood. 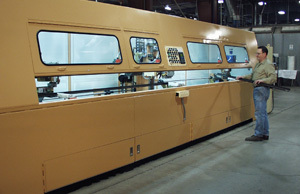 Following is a Creative Automation saw that performs profiled and mitered cuts on aluminum extrusions. 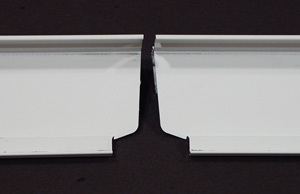 The saw has a sound enclosure and safety interlocks for the operator. 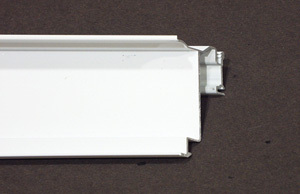 Closeup of one of the miter cutters.